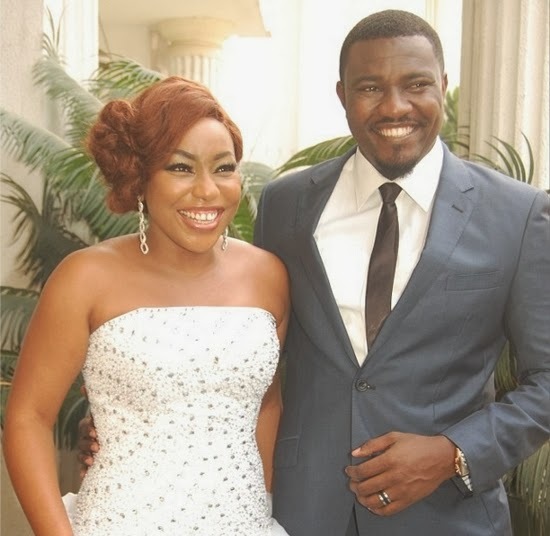 The above wedding photo of Nigerian actress Rita Dominic and Ghanaian actorJohn Dumelo is current circulating the social media like wildfire with many saying they make a lovely couple. Some fans are yet to know that the above picture is a scene from upcoming Nollywood movie titledRosemary Rose where the two movie stars play as couple. The movie was directed by Nollywood actor Desmond Elliot.